Home Riyadh Sales & Marketing Sales Executives Saudi Arabia Walk-In Interview Walk-In Interviews for Sales Executives, one of the Leading Consumer Electronics Company in - KSA. 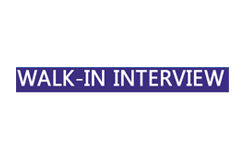 Walk-In Interviews for Sales Executives, one of the Leading Consumer Electronics Company in - KSA. Hiring Sales Executives for one of the Leading Consumer Electronics Company in - KSA. Experience or knowledge in Consumer electronic products will be an advantage. If you are eligible for the above requirements please walk in on 8th OCT SATURDAY to below mentioned address. AL thani st , 2454 Riyadh, 11283 Saudi Arabia.